The air pollution in Beijing regularly approaches apocalyptic levels many times those considered healthy by the WHO. The other day a cloud of smog so huge that it could be seen from space, blanketed the entire area. With the PM 2.5 count pushing 500, it was shocking to observe sunset conditions in the middle of the afternoon. Even the extraordinary, however, can become normalized and marketized. 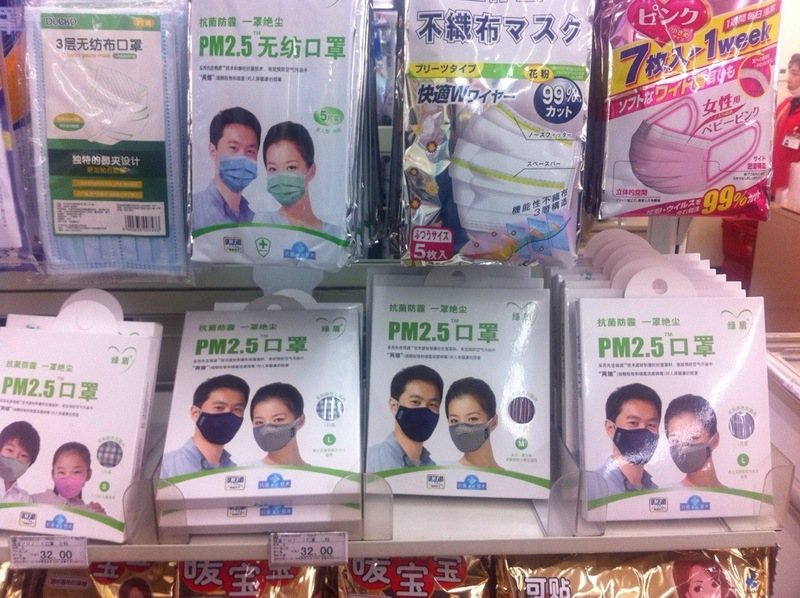 Case in point, the 7-11 around the corner from my hotel had a whole shelf of PM 2.5 face masks. The kinds of masks that I would only find for sale in a local hardware store back home–for use in construction or putting down insulation–were sitting on a shelf next to deodorant, toothpaste and shampoo. Sold in packs of 5-7, some even advertised that they contained a week’s supply. 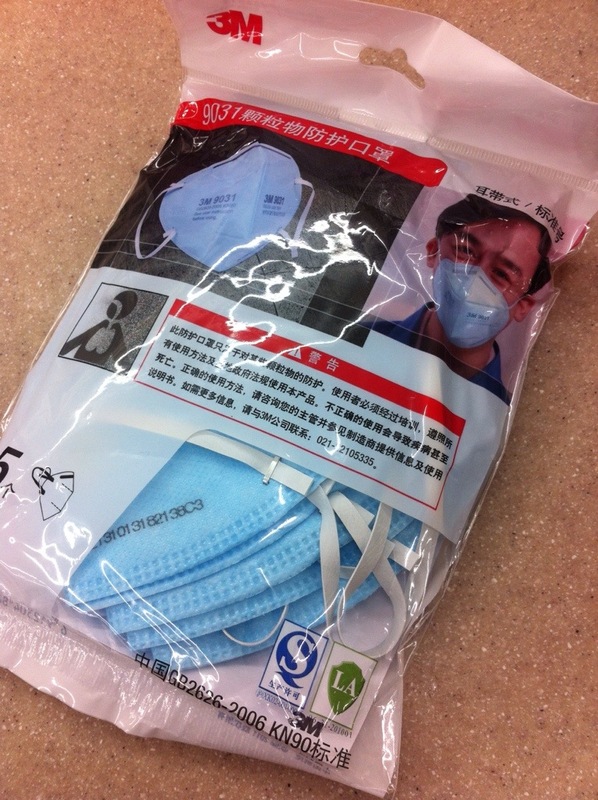 A convenience store pack of particulate protection masks for everyday use are mysterious objects, indeed.